Nitrous Oxide System Wallpaper is an excellent quality digitally rendered fully realistic looking 3D wallpaper of Nitrous Oxide Cylinder. 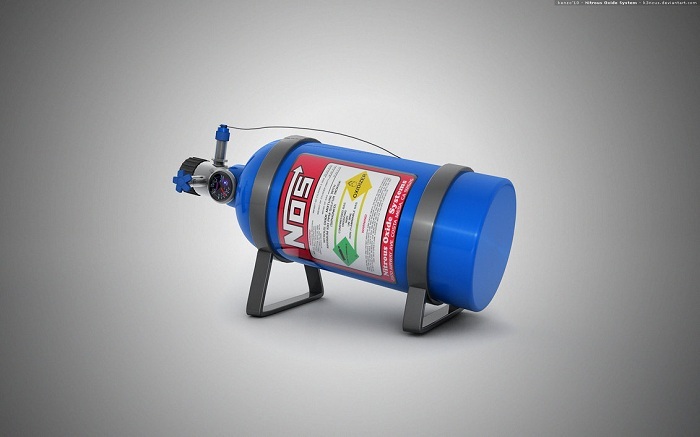 Nitrous Oxide System Wallpaper is created by K3nzuS using Cinema 4d and Adobe Photoshop CS4. It is a RAR download, the file is 7.5 MB in size. This Article Has Been Shared 8343 Times! Polyguana V2 Wallpaper is an excellent quality digitally rendered 3D wallpaper of re-rendering of an old model work we published before. Cite this article as: Abhishek Ghosh, "Nitrous Oxide System Wallpaper," in The Customize Windows, December 20, 2011, April 25, 2019, https://thecustomizewindows.com/2011/12/nitrous-oxide-system-wallpaper/.